A set of benchmarks has been added to the Global Value Exchange which provide useful information relating to the current social and environmental landscape in England. This can be used to provide some context to your outcomes by comparing these to national averages. These have been extracted from the Local Government Inform (LG Inform) resource, which aims to provide local authorities with performance and contextual information taken from various published reports and studies. This information is designed to inform improvement of services and increase the transparency of the public sector. The LG Inform resource is interesting as it contains lots of information suitable for use as benchmarks. 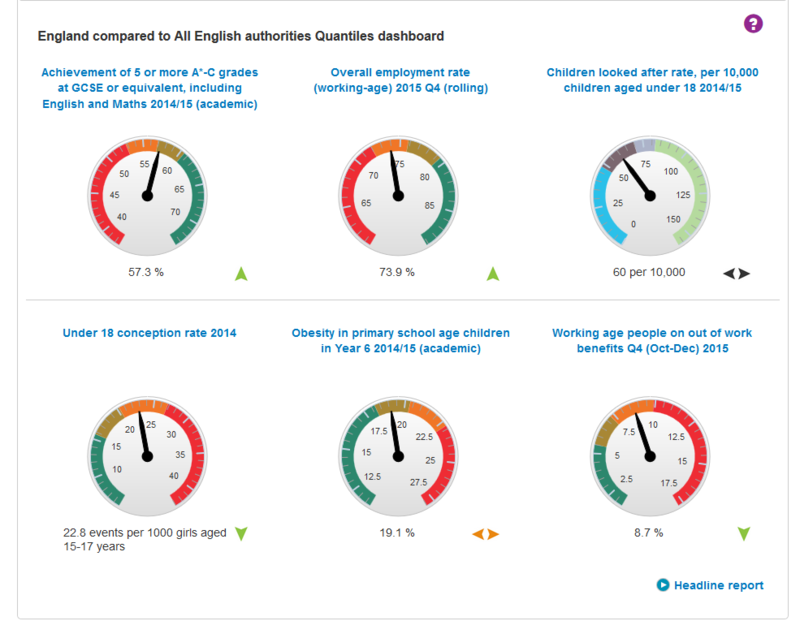 For example, the resource contains data on life expectancies which we’ve used to provide benchmarks for the indicators Life expectancy at birth male (years) and Life expectancy at birth female (years). The resource also provides information for various points in time, and for different English local authorities. These benchmarks can also help you apply the Social Value UK’s principal; Do not overclaim. This principle asks you to consider, when measuring your social impact, what might have happened anyway. This data offers some answers to the potential likelihood of the level of changes which can be expected. For example, a project aimed at increasing the number of people visiting a library might find it useful to look at data and trends observed in national or local data.